What is the Level 1 Junior Golf Coaching Program? The Level 1 Junior Golf Coaching Program is geared towards juniors ages 6 – 12 that have prior golfing experience and are looking to advance their golfing skills. In every session, students will develop their skills, tackle challenges and participate in fun competitions, all designed to make learning the game of golf fun and effective. The CJGA Junior Coaching Program focuses a player on mastery rather than perfection. At CJGA, we believe that to play to your potential one must consider the entire game of golf. Golf instruction often focuses only on the golf swing, but the game is measured by score, not by the look of your swing. At CJGA, we focus on 4 key areas to build a golf game that promotes long-term improvement and self-confidence. 1. THE GOLFING MINDSET – A golfer must learn to manage their thinking and control their emotions. A golfer is tested mentally and physically throughout their round. If negative emotions and thoughts are permitted to exist, the golfer will struggle to trust their talent and succumb to the pressures of tournament play. 2. THE REAL GAME OF GOLF – Golf is a game of misses & mistakes; nobody has perfected the game and no one ever will. However, to win a golfer need not be perfect, just shoot the lowest score. 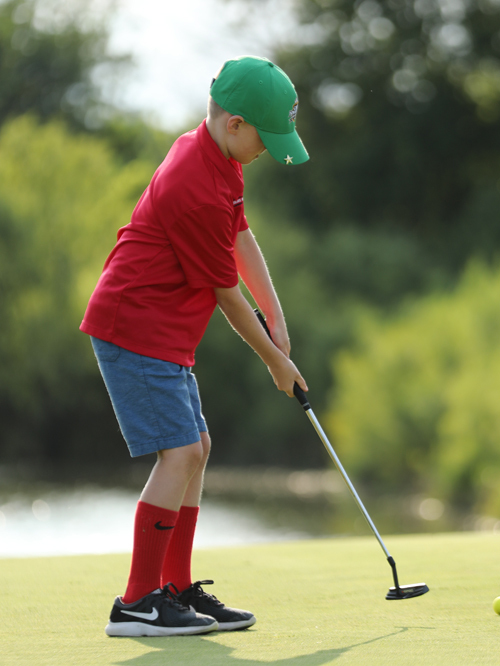 The question is, “How do you shoot lower scores?” We teach junior golfers, through game-based training, how to shoot lower scores and track their improvement for continuous development. 3. PURPOSEFUL PRACTICE – We believe practice does not make perfect; rather, perfect practice makes permanent! To become a champion golfer, your practice routine must reflect that of champion golfers. We teach our players fun ways to challenge themselves in ways that simulate tournament conditions and produce superior results. 4. SKILL DEVELOPMENT – There are so many parts to the game of golf that players often become overwhelmed with information and bogged down thinking about technique. 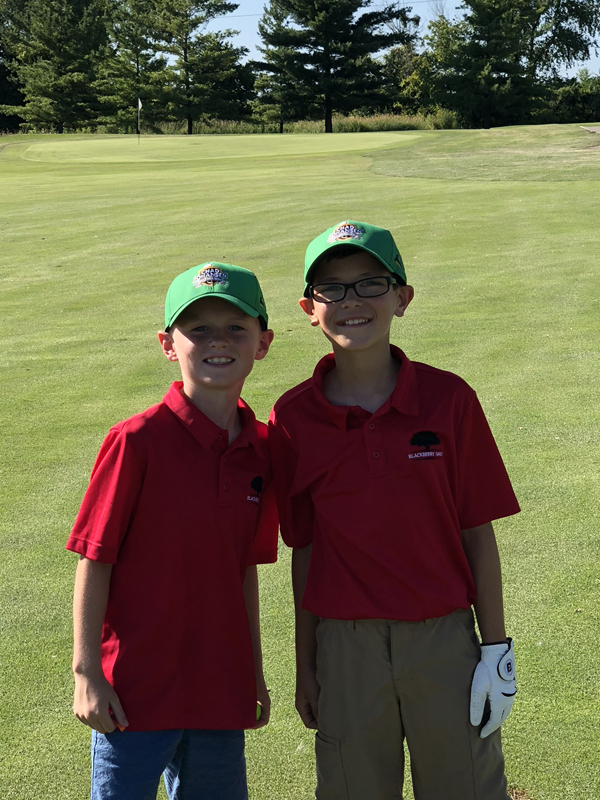 At CJGA, we focus on teaching players only the skills they need to achieve their stated goals, later adding new skills to further enhance the learning. Just as a young gymnast must learn a somersault before a handspring, we teach junior golfers the basics before moving on to more complex skills. How to score, and effective course management. How to analyze their play and create purposeful practice routines that promote long-term development. How to focus on the development of skills need to achieve their goals for golf. It creates the right environment to learn the life skills and core values we teach. It allows your junior to build friendships in an individual game. It allows coaches to create competition and challenges that motivate the players. It enables your child to take leadership or mentoring roles to develop interpersonal skills. It increases the hours your child can spend with their coach while not increasing the expense. It reduces the chances of over-teaching & technical overload. We allow each junior golfer to apply what they learn through experimentation and encourage them to learn by asking questions rather than just be told what to do.